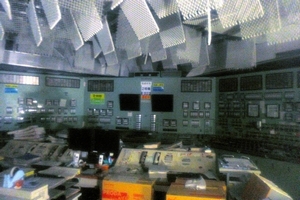 The document remains the only available official transcript of the testimony by Yoshida, the on-site commander of efforts to bring the situation under control, who died in July 2013 without having disclosed much to media organizations about the accident at the plant, operated by Tokyo Electric Power Co. The transcript, not to be released publicly at Yoshida's request, was gathering dust in government offices. The Yoshida testimony report comprises seven parts and contains about 500,000 characters in total. It is printed on more than 400 pages of A4-size paper. Eleven of the 13 interview sessions with Yoshida were conducted at a Japan Football Association Academy meeting room at the J-Village soccer training facility, 20 kilometers south of the Fukushima No. 1 nuclear plant. 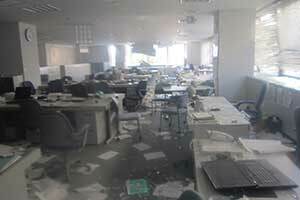 The remaining two sessions took place in a quake-proof control center building, Yoshida’s workplace, at the Fukushima No. 1 plant. The government’s Investigation Committee on the Accident at the Fukushima Nuclear Power Stations of Tokyo Electric Power Co. interviewed 772 individuals over a total of 1,479 hours. The Yoshida testimony was compiled during that process. While an interviewee was only questioned for slightly less than two hours on average, Yoshida was interviewed for more than 28 hours, and was asked to respond on how he acted and what he thought at decisive moments. Yotaro Hatamura, chairman of the investigation panel, called the Yoshida testimony “invaluable historic material” because it is Yoshida’s only available official transcript. In the Yoshida testimony, he is not only telling his side of the story. But the interviews were far from lenient, because prosecutors on loan to the investigation panel secretariat were leading the questioning of Yoshida. The questioning report reproduces the slightest of speech nuances. The text of the report also shows Yoshida’s seriousness in attending the interviews. The emotionally open nature of his responses throughout the report indicates that, as a whole, Yoshida was recounting how he really thought and felt. Yoshida tried to make sure he was distinguishing facts from his feelings and thoughts. He also apparently tried to distinguish what he believed when the disaster began from what he later came to believe as more information became available. 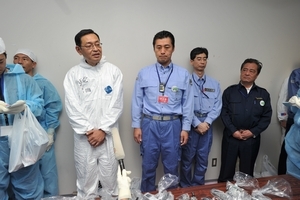 Photo: Masao Yoshida, general manager of the Fukushima No. 1 nuclear power plant, takes questions from reporters in a quake-proof control center building at the plant on Nov. 12, 2011. The Fukushima nuclear disaster, which involved more than one reactor stricken simultaneously, was a multiple disaster that humankind had never experienced. The No. 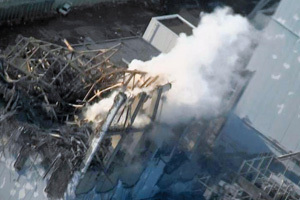 1 reactor, where the suspension of water injection for cooling the core was overlooked, was the first to succumb to a hydrogen explosion on the afternoon of March 12, 2011, the day after the quake and tsunami. Water injection efforts subsequently failed in the No. 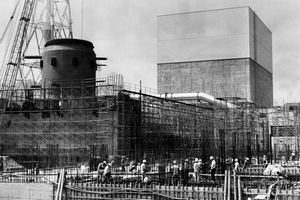 3 reactor, which exploded on the morning of March 14. That made it impossible to suppress pressure in the No. 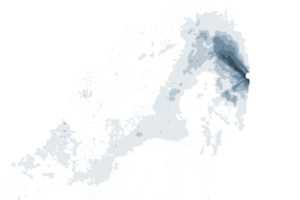 2 reactor’s containment vessel, which spewed radioactive substances onto land areas on March 15 at higher levels than at any other time during the Fukushima nuclear crisis. The No. 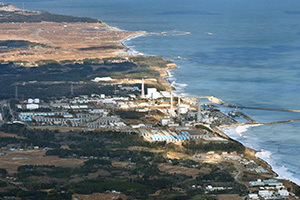 4 reactor also exploded on March 15, raising concerns about a potential loss of water from its storage pool for nuclear fuel. A loss of water could have spewed even more radioactive substances. An audio recording clip from TEPCO’s teleconferencing system shows communications exchanges when the No. 3 reactor exploded. Unfortunately, the government investigation panel’s final report failed to discuss and review the actions and judgments made by individuals who were leading concerned organizations at the time--the prime minister, industry minister, director-general of the now-defunct Nuclear and Industrial Safety Agency, chairman of the NSC, president of TEPCO and general manager of the Fukushima No. 1 nuclear plant, although it is up to people to stop nuclear plants from running amok and up to people to save residents from nuclear damage. Although the panel interviewed as many as 772 individuals involved, it failed to dig deep into essential aspects of the disaster because it made it a stated policy that it would not pursue the responsibility of individuals. It is not too much to say that the government and power utilities are eagerly working toward preparing for restarts of nuclear reactors by adding height to seawalls, installing filter vents and reinforcing other facility components because the government investigation panel limited its analysis and reviews only to phenomenal aspects of the tragedy. Voices of those who fought the unprecedented nuclear disaster should be engraved in history. History is humankind’s common property. The government later released a written request by Yoshida that his interviews not be publicly disclosed. This is an English translation of serial feature stories on the Yoshida testimony report that began running online on The Asahi Shimbun Digital on May 20. The series focuses on the part of human action and judgments, which the government investigation panel questioned Yoshida about but seldom mentioned in its report, and addresses three issues: who is there to halt nuclear reactors; if residents can be evacuated; and if humans can stop a crisis. In analyzing and reviewing the Yoshida testimony report, The Asahi Shimbun perused TEPCO’s teleconference records, a time-series table of events and TEPCO’s other in-house documents obtained from sources. The newspaper’s reporters also interviewed concerned parties. Chapter 1: Who is there to halt nuclear reactors? Chapter 2: Can residents be evacuated? 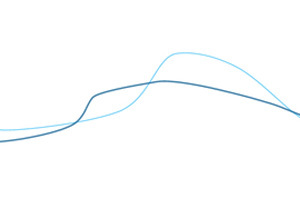 Chapter 3: Can humans stop a crisis?